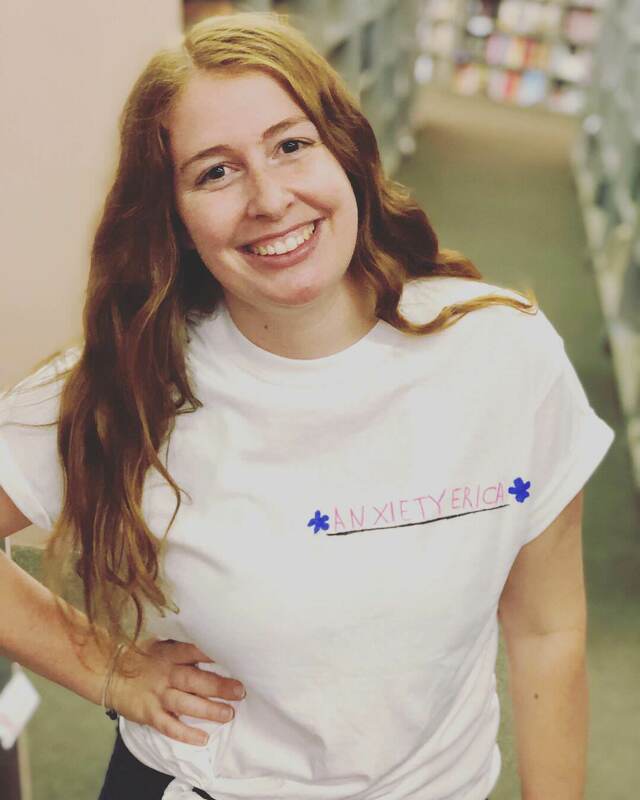 Living a life filled with depression and anxiety since she was just ten years old, Taylor is a strong pillar radiating self-love and healing that comes from taking mental health seriously. Graced with elegance and empathy, I’m proud to know this shining star. Meet Taylor. It started around 10 years old. In general, that’s all I can remember is 10 years old and on. Childhood amnesia? Perhaps. However, I think it just escalated so quickly it was a defining moment in my life from then on. I started suffering from depression. My mother had displayed the same symptoms throughout her life, but never treated herself so I feel as though it was entirely genetic. Looking back, it was quite sad. It took 11 years to get help. I got home from school, fell asleep for hours and did my homework in the late hours of the night. All I would do was isolate myself in my room and read or write. I had friends I would hang out with at school or on the weekends but none of them really knew what was happening on an everyday basis. My parents intervened and sent me to a psychiatrist who thought I had ADD and prescribed me Adderall, Ritalin, Concerta, etc – nothing made a difference. All that happened was I would get a dull never-ending anxiety, which made my depression worse. My depression has been constant for about 14 years now, going through waves of bad to a plateau. I didn’t choose to get help at a young age and at times I went through gaps between visits that lasted years at a time. I did not like how medication made me feel and the side effects that came with it. My parents didn’t fully believe in medication or knew how hard I was struggling, as I wasn’t very open about it, and tried to help me cope in other ways such as meditation and therapy. These were temporary fixes and I truly think they help others but they did not work for me. My brain chemistry is just off. When I fully chose to get help on my own, I was in college around 21 years old. There were several incidents when I tried to commit suicide, which is easier for me to talk about now in recovery but at the time no one knew. Most often I abused my anxiety prescription to make myself feel numb, which seemed better than negative or self harming thoughts. I had a particularly traumatic experience when I overdosed on said prescription in an attempt to take my life. It was a cry for help. My amazing, supportive roommate who I also traumatized, called an ambulance that rushed me to the hospital. I was alone and woke up groggy not knowing where I was, in a hospital gown, with an IV in my arm. I will never know what happened that night because no one can attest to if they made me throw up, pumped my stomach, anything. Part of me doesn’t want to know so I have never tried to find out. I didn’t see any nurses in sight so I pulled the IV out of my arm and walked outside barefoot to have my friend pick me up. Everything from there on was blurry and when I got back to my apartment my friends and roommates were hugging me and we all cried. They were so afraid for me and realized the extent of what was happening. This moment was the straw that broke the camel’s back. The effect this had on my loved ones was so atrocious that it makes me cringe to this day. My dad flew me home to San Diego the next day. I spent a few days recovering and then when asked how I would get my stuff home, I refused. I wanted to go back because I knew I would regret not finishing off my senior year. It was the best decision I ever made. I finally got comfortable about getting better. I got a job my second semester working at a local boutique that I loved, got the best grades I had ever earned in college, and most of all I took care of myself more than ever. I’m not going to lie, I still suffer from depression and suicidal thoughts and that has not gone away and never will. However, I changed my lifestyle and got serious with myself. I never thought I would live past 21 years old, so to have made it this far at 24, I am prideful that I have realized this needed to be dealt with everyday step by step. I feel much better these days. Lexapro and my lifestyle changes saved my life. I finally found a medication that works for me and I feel like an upgraded version of myself. I still have challenges daily. I still have trouble getting out of bed and beating fatigue. I still am my harshest critic and have low self-esteem. With that being said, I have learned to deal with it and fit into normal society. I still write occasionally and have recently launched a website with a best friend of mine that combines my love of beauty, wellness and travel with writing. It’s a hobby but I hope in the future I can get a little more deep with people who are suffering from depression and anxiety with wellness tips. Even though I wish I could feel normal or be like everyone else at times, I think what depression has given me is empathy. I see others who might come off in a certain way and know they must be going through something. I feel for them. I also see the world in a bigger picture. I complain and vent but when it comes down to it there are people out there that have it much worse and I try to tell myself that everyday, that I am blessed with this life. I also think those experiences I have gone through have made me an entirely stronger person. I am also a hundred percent more positive and my thought process has changed. It takes a lot of work to get to that point cognitively where you can reverse your negative or self harming thoughts when they arise. I would let myself know that there is a light at the end of the tunnel. I can not even count the times I have laid in bed wishing I would never wake up or have just wanted some sort of peace, but there are ways to gain inner peace in the real world. Check out Taylor’s new website at http://www.thesiennarising.com/ and follow her at @siennarising! Follow the blog to see the latest Works in Progress stories! Do you want to share your story with anxiety, depression, or another mental health issue? Leave a message in the comments of your journey! Your candidness and finding solution is an inspiration- thanks for sharing your story! You are the best, girl! 🙂 Thanks for the kind words about Taylor – she’s an awesome human being.